I have always enjoyed combining my love for other things in life such as surfing, wine drinking and climbing but there is something else that I like to combine with my travels, romance. Throughout the years, my partner and I have been to some of the most romantic spots in the world and I wanted to share a few of them with you. If you are looking for inspiration as to where to take your loved one for your next trip, here are some passionate places where you could go. The Caribbean has plenty of perfect getaways for couples but the pick of the bunch for me is the Turks and Caicos islands. This place is pure paradise, the straight-out-of-a-postcard sort of location where you can relax in each others company in pure bliss. These quiet islands give you the chance of complete seclusion, surrounded by white beaches, palm trees and crystal ocean. Paradise should be enjoyed by lovers which makes the Turks and Caicos a perfect destination. Of all the Greek islands it is Santorini that steals the show, the jewel in the crown of the Aegean sea, this small island offers plenty for getaway couples. Santorini ‘s houses and villas which hug the coast are the whitewashed buildings which you normally see when people talk about Greece. I really liked the choice between seclusion and getting involved here in Santorini and aside from the amazing food, my partner and I really enjoyed getting involved in the local culture. There is absolutely nothing to dislike about the Maldives, sat deep in the heart of the Indian Ocean you can stay in small, secluded huts above the water, on your own slice of the planet. The idea of a romantic getaway for me is a little adventure with lots of time spent enjoying my partners company. 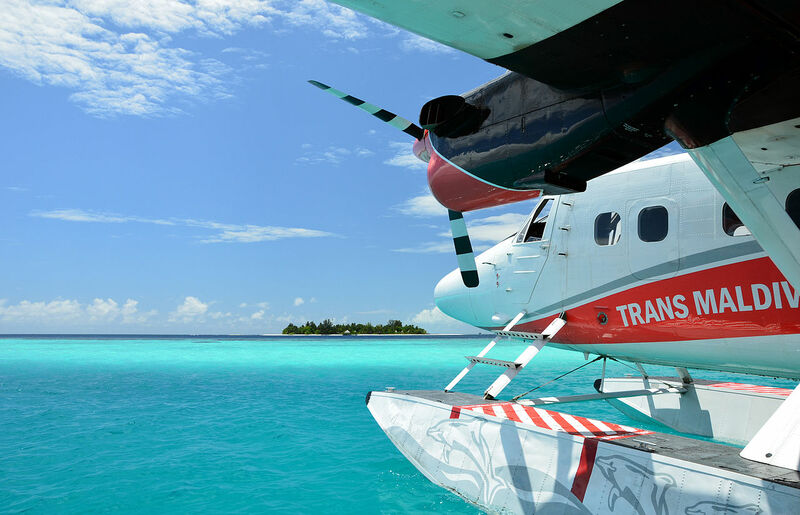 If this sounds like your idea of romance too, then the Maldives is the best option for your getaway. Italy offers a huge amount of places for romantic getaways but Florence has to be my favorite. This was the classic Italy that I had seen in movies, a city with art throughout the streets, good food, music, dancing, Florence really had it all. As far as romance goes, it doesn’t get more romantic than sitting in an ornate square, listening to opera and drinking a fresh white wine with your partner, and that is why Florence is perfect. For vegetarians looking to add some different food in to their lifestyle, looking to Arabic cuisine is a great idea. Not only does this food taste absolutely delicious, it generally has a less heavy dependency on meat like in many other countries. 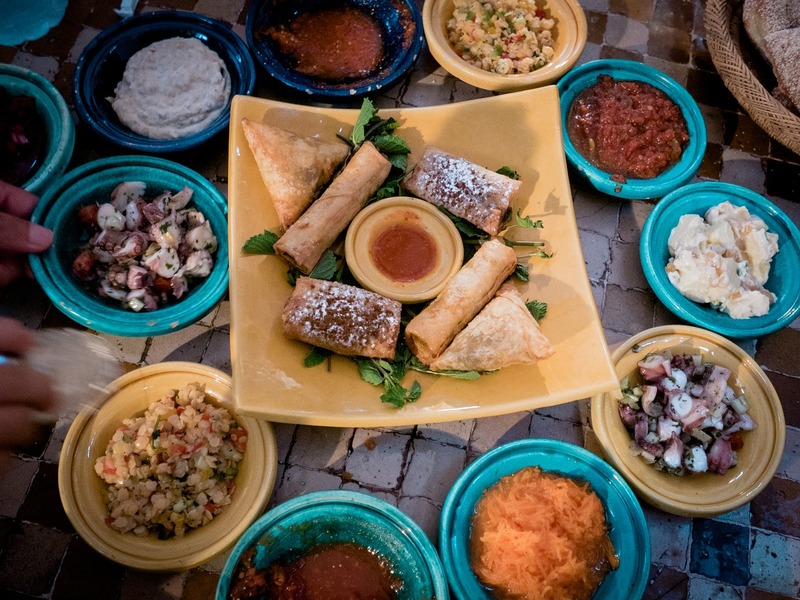 Arabic food is really widely varied and instead of the focus on meat, it places far more attention on vegetables and most importantly, the flavoring of the food using spices, herbs and cooking methods which pack each dish with punchy flavors. Having spent a lot of time traveling, and eating my way through the Middle East, I wanted to share with you some of my favorite vegetarian dishes. Koshary is a dish which originated in, and is now the national dish of, Egypt and it has spread through the neighboring countries. The dish is made using lentils, rice, macaroni noodles and a rich and spicy sauce on top. Not only does this dish make for a fantastic vegetarian option but if you are a budget traveler then you can find this dish throughout Egypt for a very low price. Falafel has been rolled out across the world now but I challenge you to find falafel that tastes anywhere near as good as it does in the Middle East. If you haven’t heard of this dish, it is made using chick peas which have been blended with a range of spices such as saffron and paprika. The paste which is created by crushing the chick peas is then deep fried and served on a warm pitta bread with yoghurt. This is a delicious and wholesome dish which vegetarians will love. When you are out and about in the morning throughout the Levant region, you will see Manakeesh just about everywhere and it has become a staple of the diet here. Manakeesh is a bread which is usually topped with cheese, thyme or even ground meat. This dish is a sort of breakfast pizza which is cooked in clay ovens. The bread, or dough, is made fresh on the morning and formed into flatbreads, before being fired on the oven and then topped. This dish apparently came from Syria but it van now be found throughout the Middle East. The dish is a spicy meal which is made using walnuts, peppers, olive oil and breadcrumbs. Very much a snack, you will be served this spicy blend with some warm Arabic bread, and usually a glass of water! I you order this dish, make sure that you have a small taste before diving in, to avoid burning your mouth. I’ll finish on the most well known of Arabic foods, it seems somewhat simple to put it in this list but how can one make a list without including this phenomenal dish. I love the flexibility of hummus and the amount of flavors which you can find it in, and I also love how many snacks it works with. You can have hummus served with bread, raw vegetables, or even use it to top rice or lentils. And there you have it, a quick guide to eating Arabic as a vegetarian, if you haven’t began your Arabic adventure yet, now is the time. 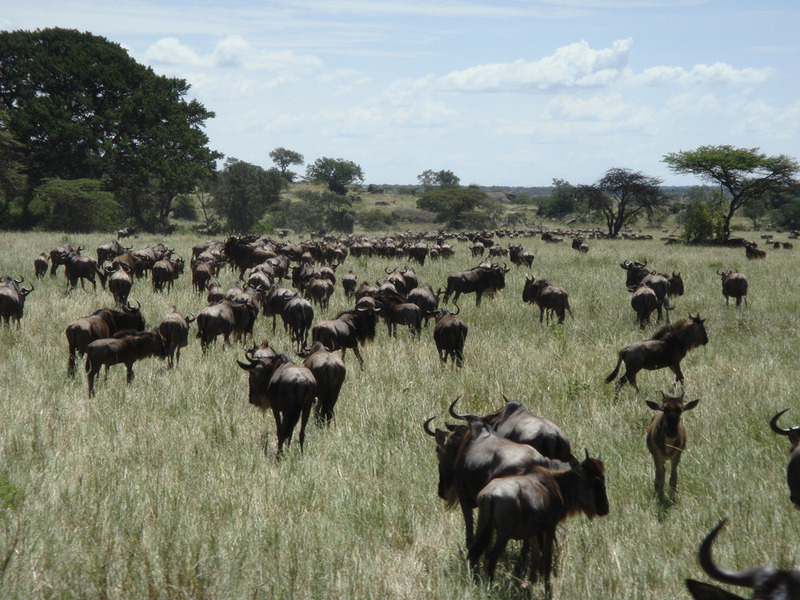 When is the best time to visit the Great Wildebeest migration? The Great Wildebeest migration is widely considered to be one of the most impressive events that occurs in the whole of the animal kingdom and has been named the ‘Greatest show On Earth’. If you don’t know what this is, the ‘show’ features over 2 million wildebeest, heading off on an arduous journey of over 1800 miles as they migrate through the African planes. This phenomenon can be seen by tourists if you get your timing right and there are many tour companies who can offer this trip if you want to witness the spectacle. Let’s take a look at what route the wildebeest take, and when would be the best time for you to spot them. The wildebeest move in a clockwise fashion from the north east of Kenya, down through the south of the country before moving north on the east side of Tanzania and back to the north east of Kenya. The reason for the migration is that the wildebeest move, with zebras and gazelles, to in search of food after the long rains. Throughout this lengthy and continuous journey, the wildebeest face many dangers as they travel through the Masai Mara, the Serengeti and the Maswa game reserves. The journey features 2 death defying river crossings which often sees a large amount of casualties thanks to the speed of the river and the dangers present there such as crocodiles. In truth, the migration never really stops, but for a short time, before it commences again and this means that you will have plenty of chances to go and witness this incredible feat. If you want to go and see the migration as it heads up the eastern coast of Tanzania, the best time to go will be between April and July. The exact dates are difficult to predict as the migration itself depends greatly on the rains, which change from year to year. If you plan on going to the Maswa game reserve then the wildebeest will be usually be there in mid-May, and you can also get the chance to see many other animals on a safari in this reserve. A little later in the year and if you are very lucky, you could see the crossing of the Grumeti river in northern Tanzania. Whilst the Serengeti could be a good place for you to see the migration, the wildebeest generally spend more time in the Masai Mara and so this would probably be the best place for you to see the animals in all of their glory. The wildebeest will arrive in the northern tip of Kenya and the Mara river in around August where they will remain until late September when they begin their migration to wetter lands. Kenya offers the best safari infrastructure but the cost of this is that you may find large crowds here that are looking to do the exact same thing as you. If you want to see nature at its very best, this is the vacation for you. A great many tourists who go to Thailand are looking to indulge in some of its finest party places. This is completely understandable and as someone who has spent a great deal of time in Thailand, I can understand why so many people love letting their hair down in this country. But what about those who don’t drink alcohol? As someone who doesn’t drink, it can be difficult to join in with others when it all gets a bit crazy. Thankfully there is plenty that the country can offer for the tee totals amongst us and here are just a few things which you must do when you go to Thailand. You will see many temples and religious buildings when you go to Thailand, but noting quite like the Grand Palace in Bangkok. 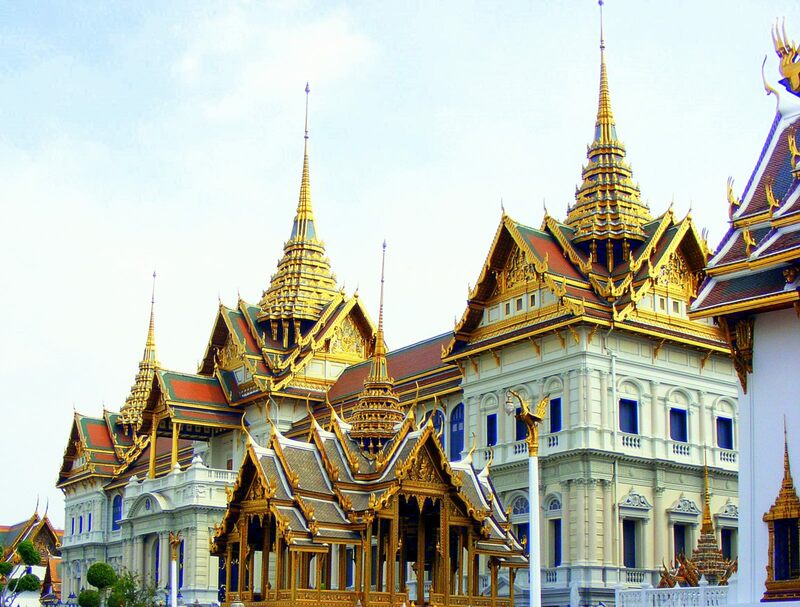 This building complex has stood for over 150 years and it was the home of the Thai King and the Royal Court. The buildings are decadent in their design with gold featuring just about everywhere. If you only visit one place in Bangkok, make sure that it is the Grand Palace. Heading to the north of Bangkok you will find the incredible Floating Markets, colorful, noisy and something that you have never seen before. The vendors here use small, gondola-type boats which they will pile high with fruits, vegetables and handmade items to sell at the shore. Here you can haggle and purchase some great products, in a really novel way. These glorious islands can be found 45 minutes away by boat from Phuket and you don’t need to drink any alcohol to realize that these are probably the most beautiful islands in Southeast Asia. The islands are made with volcanic rock which gives them their dramatic features, perfectly complimented by the green sea that laps against the beaches. If you are traveling with your partner, these are the islands where you need to go. This vast national park is actually a UNESCO World Heritage site and at over 2,000 square meters, it is the second biggest national park in the country. The region actually spans four provinces and inside the park you will find pure tranquility and natural beauty. Throughout the park there are mountain ranges, lush forests and swooping valleys where you can take some time away from the world. Much has been said about the way in which animals are treated in many of the operations that exist throughout Thailand so it is nice to see a center doing things differently. This is exactly what you will find in the northern city of Chiang Mai where there is an elephant reserve which rescues and cares for mistreated elephants. Unlike most elephant shows, the animals here will be acting naturally and themselves thanks to the care and freedom that the owners of the reserve have given them. The animal tourism industry in Thailand is not in good shape and visiting places like this will hopefully help to change more minds. So there you have it, no need to party, this country has much more to offer. The Great Barrier Reef is an incredible example of nature’s brilliance and an attraction which sees thousands of tourists visit every year. The Great Barrier Reef is a huge collection of coral and underwater bio-systems which have been baffling and helping scientists, and fascinating visitors for many years. Unfortunately with the Great Barrier Reef, as a result of the damage which humans are doing to the seas, a process called coral bleaching has begun in the reef which slowly erodes this magnificent coral system. If you are planning on heading to the Great Barrier Reef, here is what you should, and shouldn’t be doing. Let’s take a look at a few of the things that you most definitely should be doing during a visit to this stunning tapestry of coral. To see the reef at its absolute finest, you should most definitely take a snorkeling ,or if you are up for it, a diving adventure. It is worth noting that you should understand the complexities of each area of the reef as it is not always easy to traverse across the corals. If you are an accomplished diver then you should have no problems but if not, seek professional help to find out which route is best for you. 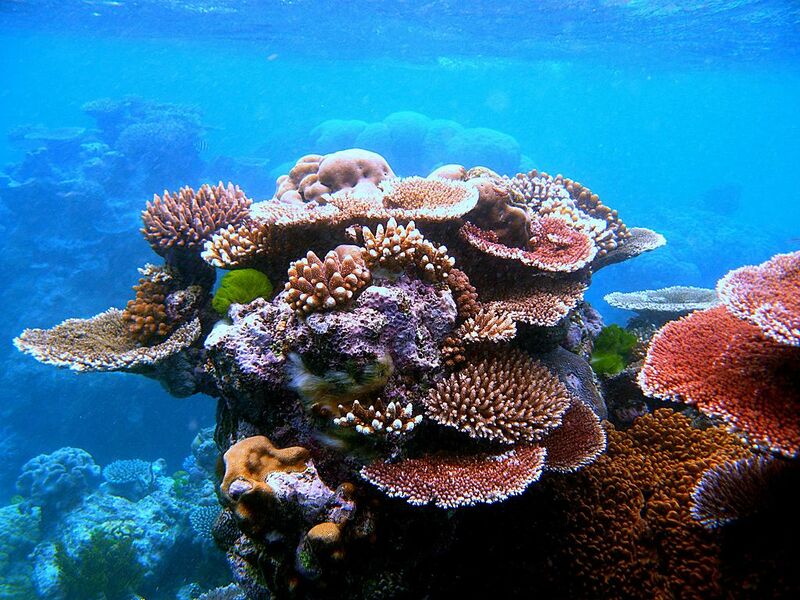 The Great Barrier Reef is not just the large collection of coral, but more the area surrounding it. One of the coolest things to do outside of the reef then is to jump on this spectacular railway which takes you through the Barron Gorge, and up as high as 1,000 feet above sea level. Getting in touch with nature here is about more than just what exists below the sea. The reef exploration can get a little crowded with tourists so why not consider heading a few kilometers up the shore line to the beautiful Hamilton Island. This is not only an awesome place of you to relax and enjoy the midday sun, it is also a great jumping off point to explore more of the fascinating reef itself. There are some things which you should most definitely avoid doing if you plan on taking a trip to the GBR. Sometimes your dive master may have some natural food which you can give the fish but for the most part, you should never feed them. Feeding fish encourages them to come closer to divers and they could very well ingest food which is not good for them. Just the slightest touch can kill coral or at the very least, cause you some pain as many of the cells and organisms down below have sharp spines which could give you a nasty cut. It’s actually against the law to remove anything from the coral and besides, doing so will kill it, so even if you are tempted, leave everything as you find it. This is a truly once in a lifetime journey and you should do your bit to help the region, and the reef by treating it with the utmost respect.